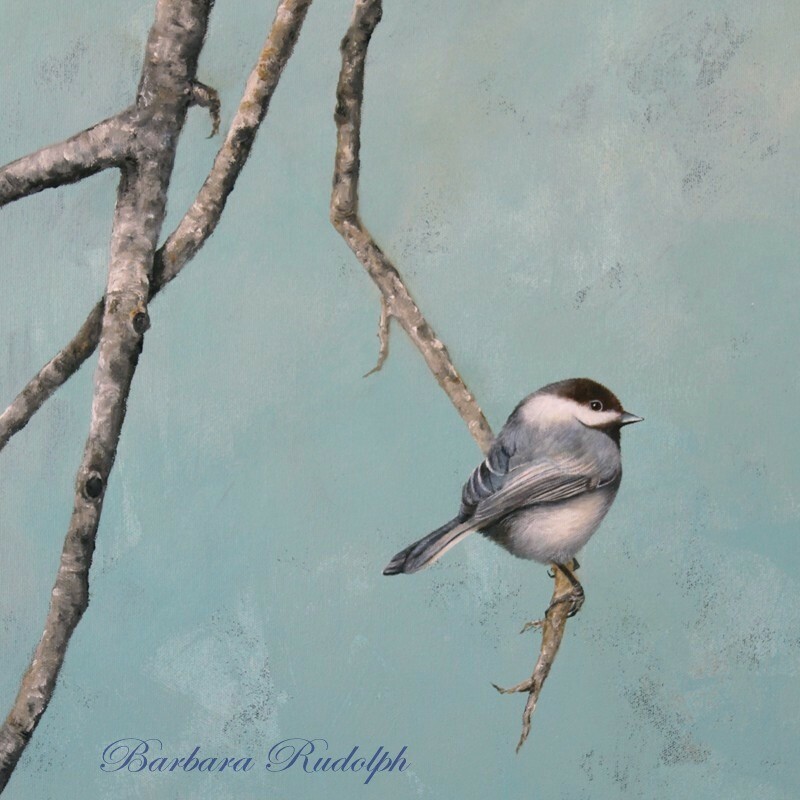 Barbara Rudolph Fine Art: Bird Painting finished "Summers End"
I finally got back into my studio to do some painting and had a lot of fun working on some of the larger pieces that I had started. 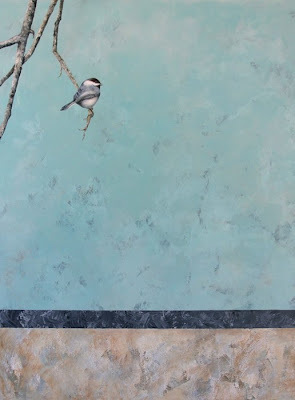 The one above "Summers End" is one of those paintings I was inspired to do with the detailed little birds on big canvas. The mood and color of these paintings are part of what make them work. 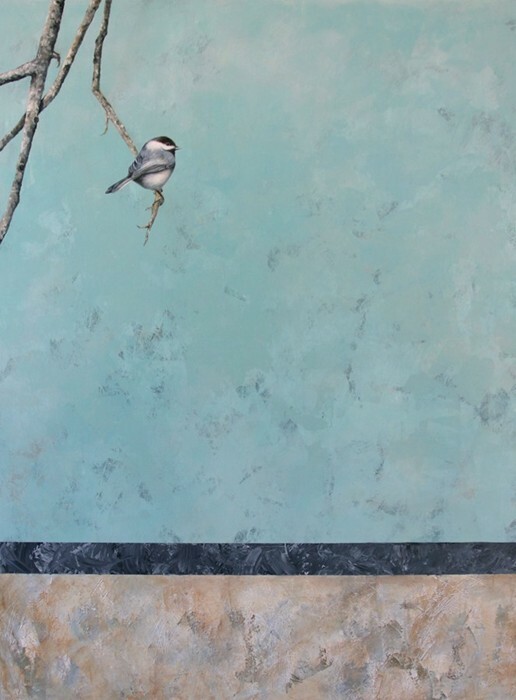 I enjoy creating areas of just texture and color to bring about a calming and refreshing feeling. The open space is very important and is planned to help the viewer feel transported to another place for just a moment in time. I want you to feel the coolness of the day and express a sense of happiness in the moment. While I was painting the under layers of color on the canvas, I added an iridescent powder pigment to the paint to give the open blue area a soft shimmer. It does not show up well in a photograph like it does in person. (I think it would be a great painting for a Doctor's office waiting room) because sometimes those waiting rooms can be stressful. I wish you could see it in person, it is a very "cheerful" painting. I want people to get a unique sense of happiness when viewing. Thank you for looking, and remember to ... always use your imagination. great use of space indeed Barbara. Had to be a challenge and I think it works. Oh! 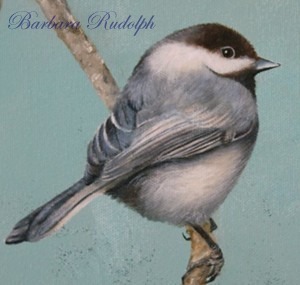 Barbara, no wonder you love painting birds. They are so beautiful. I just simply love them.